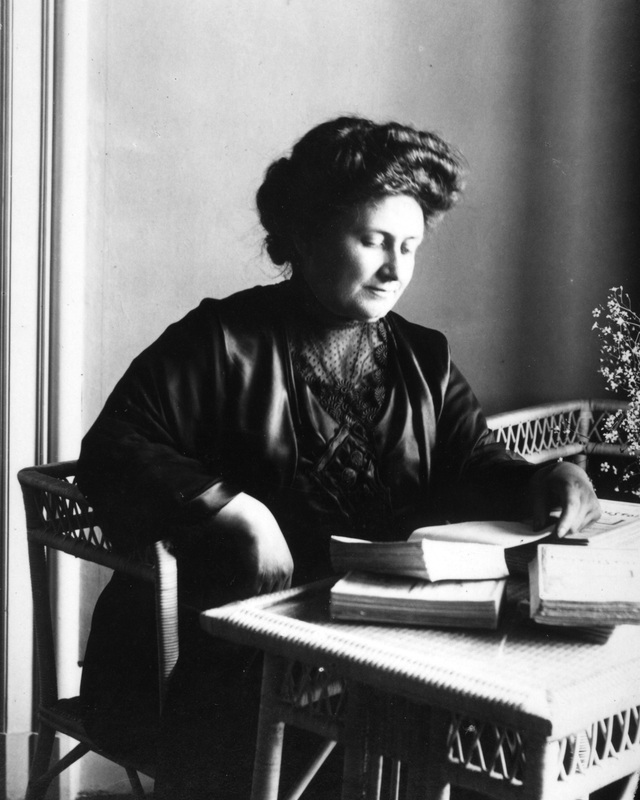 Maria Montessori was a trained physician and academic professor born in Italy in 1870. Through experience gained from various educational projects, Dr. Montessori developed a highly ingenious theory of education and a corresponding educational method of practice. Dr. Montessori observed children's educational processes as self-driven, or auto-educative, led by a behavior pattern of cycles of repetitive actions, concentration and fulfillment that supported the development of self discipline, inner assurance, and a preference for productive activity. Dr. Montessori called this process normalization and considered it to be the natural state of the child as it appears spontaneously when the environment provides the means. Throughout her lifetime until her death in 1952, Dr. Montessori perfected her teaching methods and traveled throughout the world providing training seminars and lectures on her theory and techniques. Dr. Montessori believed the function of education is to create not temporary pupils, but life-long learners. She understood learning as a skill which must be attained during a critical period in early life if children are to develop into intelligent thinkers later on. Dr. Montessori described the child' method of operation as "Help me to do it myself," with intellectual growth possible under conditions of substantial environmental support. Dr. Montessori identified special time blocks, what she called sensitive periods, when the child is driven to attend to specific areas of his environment. Here a child explores repetitively, repeating the same activities and actions over and over again as a means to learn about and understand the world. These sensitive periods are similar to previous critical developmental stages that were related to learning to speak and walk; then as during later development, all energy appears to focus on critical tasks at the right time. If the attention during the sensitive periods is prevented, the natural ability and activity-sensitivity is lost. Freedom within the environment is therefore considered crucial to the developmental process according to the Montessorian theory. To obtain a thorough conceptual understanding of the world, the child repeats actions and activities; this, in turn, provides satisfaction, power of movement and independence. 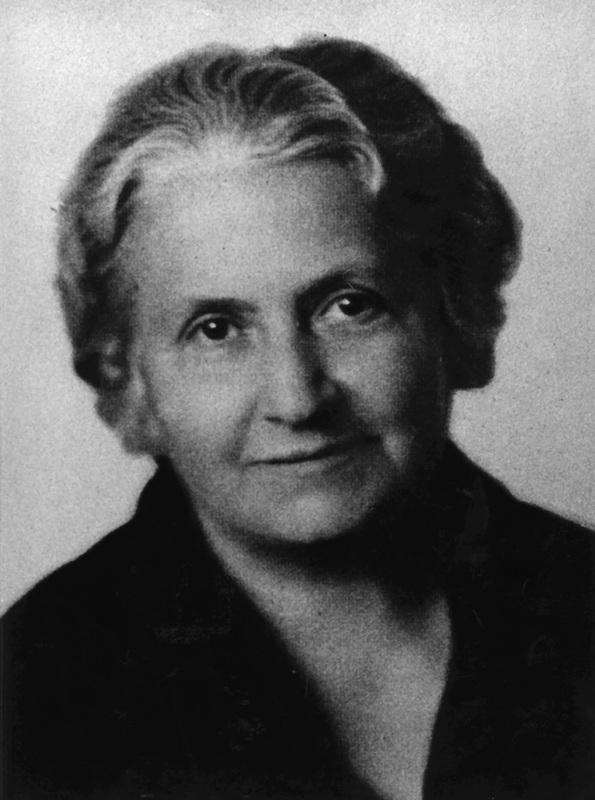 At the foundation of Dr. Montessori's theory is what she described as the absorbent mind. This is the specialized cognitive process that allows the unconscious absorption of environmental input and information which is utilized for concentration during the sensitive period which fosters the development of intellectual thinking. 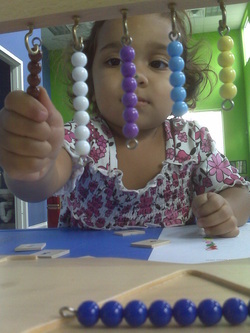 The Montessori education is characterized by a distinct and specialized set of cohesive educational materials, an orderly environment, classrooms of multi-aged children, student selected work that is completed in time blocks of long duration, no emphasis on grading or testing, and one-to-one or small group instruction in the academic and social domains. Dr. Montessori’s classroom materials, or didactic materials, have been expertly devised to correspond to the inner drives of the children during the right time of the sensitive periods. Not only do the materials teach something new, but they also prepare a child with prerequisite skills for future learning. The educative materials are ingeniously gradated in order of complication. Moreover, Montessori materials eliminate disconnect of knowledge with a coherency of arrangement and presentation which facilitates learning in the present as well as in preparation for the future. Additionally, the materials are carefully designed to enable the auto-educative process; freedom, control and independence in learning is therefore enabled and supported within the Montessori classroom environment. Teachers in the Montessori classroom provide the means to stimulate intellectual growth by creating the appropriate environment that supports the auto-educative process. The teacher, through careful observation, eloquently guides a child through the learning processes and creates an individual education plan for each child’s educational progression.